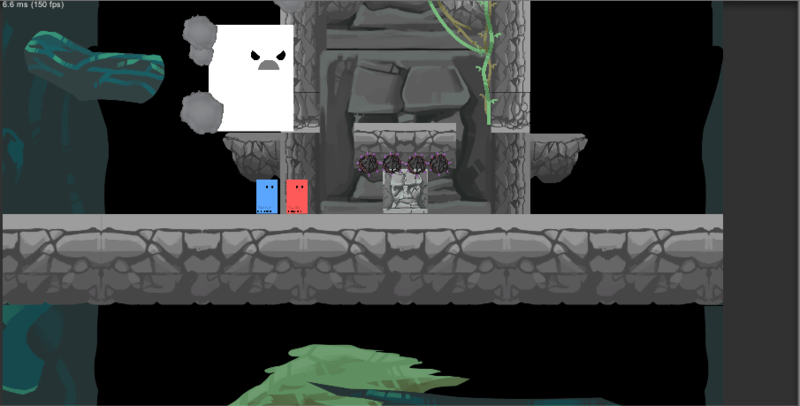 This past week was spent working on polishing up and adding to our first set of levels. We also dedicated a lot of time to play testing to get some initial feedback about Above. We had a lot of great feedback come in and we were able to fix a few things that players found difficult, for example adding specific directions about what buttons to push by showing pop ups as the player walks the characters through the tutorial. The tutorial level was also extended in order to encompass a couple of the more intricate mechanics we have in the game. 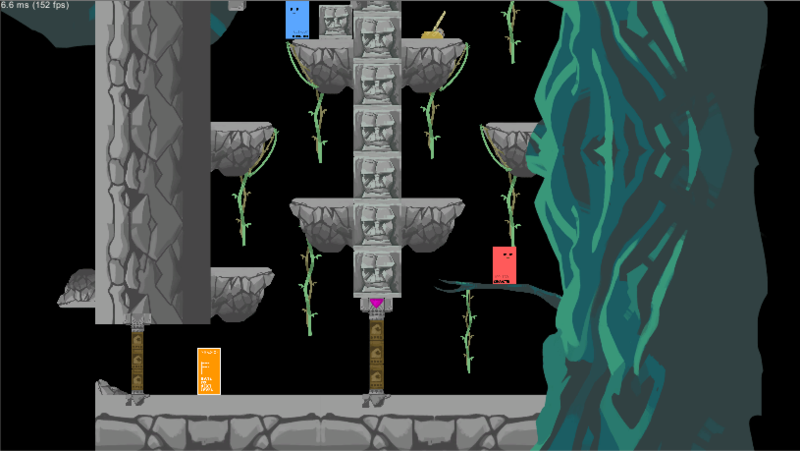 Level 1 was extended with a new simple filler puzzle designed to get the player used to splitting up the characters. Level 2 has now doubled in size but the main idea for the puzzle has remained, it still requires some tweaks to optimize the player’s experience but we feel that it shouldn’t be too difficult to streamline. The boss level has also been rebuilt using a new camera system designed specifically for boss encounters. I created the level loading system and worked the tutorial and level 1 rebuilds. Tweaked/debugged our first 3 levels and the tutorial. Created a new campfire which acts as a level loader signifying that the player has reached the next level. Optimized the level loader to manage the active scene to limit the amount of memory used. Rigged up one of the characters to get it ready for animation.